Makes the perfect gift. 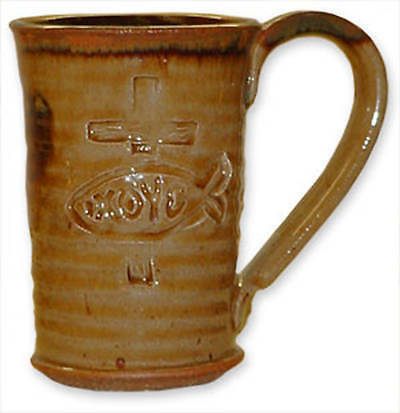 Engraved with the traditional symbol of the Christian Fish (Ichthus) and a detailed cross, this highly functional mug continues to send a 2,000 year old message. Mug is tall and also available in blue. Looking for a larger version of this mug. Click here.